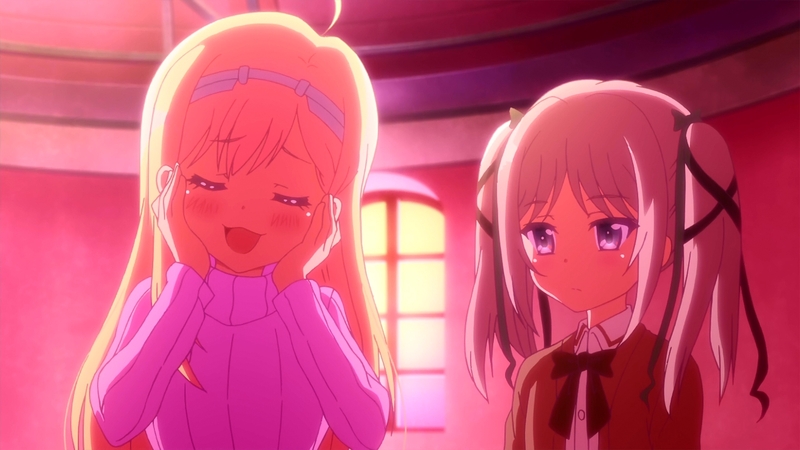 Posted on October 4, 2017 by Lena K.
You can read our full review of Netsuzou TRap right here, so there’s no need for me to ramble on and on about how I didn’t like this at all. At one point in time, I was contemplating picking up the manga, but after watching the anime, needless to say that I now have zero interest in doing so. When Creators in Pack was revealed as the studio in charge of production, I think eyebrows were raised due to their less-than-stellar track record, and things didn’t get any better when the show’s very first PV was revealed, as well as the short-form anime format. Netsuzou TRap may have turned out to be a dud, but the Citrus adaptation and the Kase-san OVA continue to give up hope that maybe we’ll finally have another good yuri anime come our way in 2018. Whether or not they meet our expectations, I doubt either one of them will be as disappointing as NTR turned out to be. You can read our full review right here, so let’s try to keep this brief. Coming into this past summer season, this is the anime that caught my eye the most. An anime about gambling? That’s kind of different, but this anime seemed to have a sinister tone and was more about the thrill of victory and the agony of defeat in this elite academy, so I gave it a go. As it turns out, this was more than I bargained for, since it was filled with maniacal characters that were either drawn to power, or simply were there to satisfy their urge to take risks and gamble, as was the case for the protagonist, Yumeko. She was as fascinating and complex an individual as you’re likely to see, and thanks in large part to her, the characters were easily the best aspect of this anime. Based on the OP, I was a little hopeful we could possibly get a bit of yuri here, and thanks largely in part to Yumeko’s irresistable persona, there were some yuri undertones present. The student council president was particularly interested in Yumeko’s antics, but it was really Midari and her sadist ways that eventually became obsessed with Yumeko. It wasn’t too much and it was twisted, yet it was something. In a season of magical girls, adventurers, spies, and questionable human beings, Kakegurui was a nice change of pace that turned out pretty well. 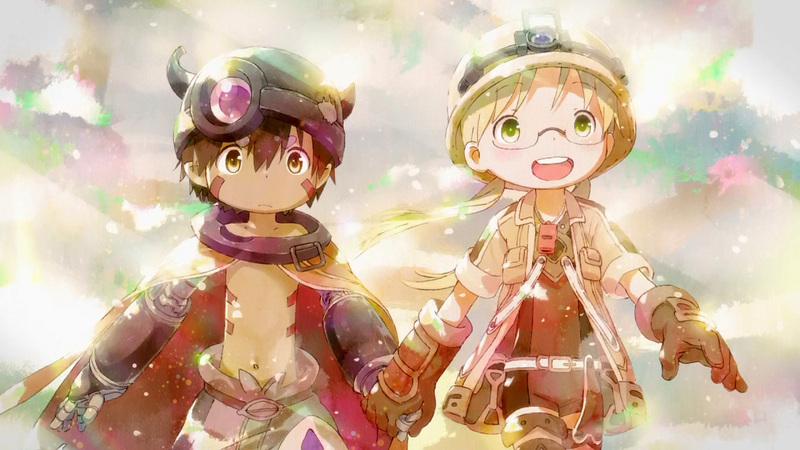 Coming into this summer season, Made in Abyss was probably my most anticipated show, and I think it certainly lived up to my expectations. Don’t let the moe appearance fool you. This is far darker tale than you’d think, and Riko and Reg’s journey to the depths of the Abyss comes with many hardships for our two main characters. I loved the adventure as well as the drama and mystery that surrounded this anime. It’s not easy being cute and charming while at the same time retaining a sense of seriousness, but this anime strikes such a great balance between the two that I can’t help but be impressed with it. I’d say that one of the only things I disliked was the fact that it was a mere thirteen episodes. The Abyss was a wondrous world that I would’ve loved to have seen explored in more depth, and the same could be said of the characters that I couldn’t help but feel overly attached to. It would seem that an OVA (or several) or another cour has to be coming at some point, so I’m crossing my fingers and eagerly awaiting that. In a way, this kind of reminded me a little bit of Ico, the PS2 masterpiece, what with Reg escorting and protecting Riko throughout their adventure (not to mention the emotional rollercoaster it puts you through). When I picked this anime up, I don’t think I was expecting that much. Maybe it was the because of the near all-female cast that I thought that it could be a half-assed attempt at an espionage-based action anime, but thankfully, that wasn’t the case. The girls more than held their own as spies, and it was always pretty interesting to see how they dealt with the various missions they undertook, especially since this anime wasn’t simply a vehicle for mindless action. It was great to learn of the girls’ backstories and motivations, but let’s just suspend our disbelief that a group of teenagers are elite spies that hold the fate of two warring nations in their hands. This was one of those shows that I was hopeful could possibly have some yuri, and I wasn’t let down in that regard. The relationship between Ange and Charlotte turned out to be one of the best things about this show. From how they first met and accidentally traded lives to the very climax of Operation: Changeling, their prince x princess-type relationship was a major part of the show, even though it didn’t really get a lot of attention until late in the series. However, the final couple of episodes brought them to the forefront and cemented the fact that they’re very much more than “friends”. 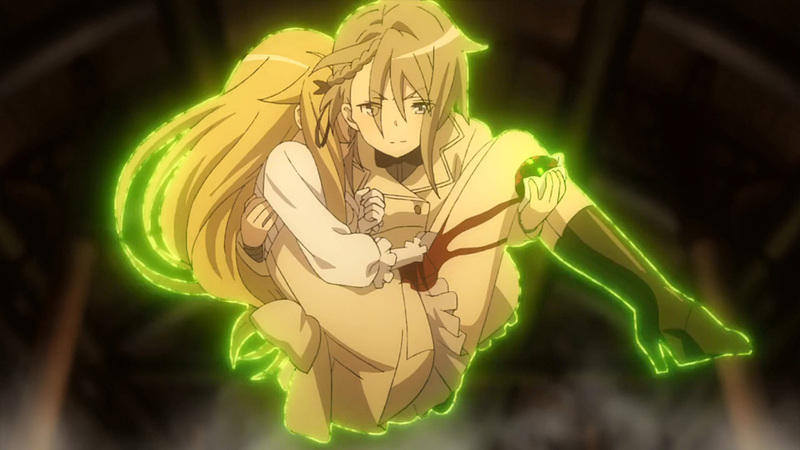 Princess Principal had the unfortunate luck to air in the same season as Made in Abyss, and the comparison probably wound up hurting it a little bit for me. They’re not very similar at all, but I couldn’t help but compare them anyway. Still, Princess Principal was an entertaining show that did some things a bit differently, not the least of which was supplying us some yuri in a unique scenario that you don’t see often at all. The more I write about this, the more I realize that there might be enough to warrant a review, so look out for that in the near future. Our full review for this one is forthcoming, so let’s gloss over this one pretty quickly. 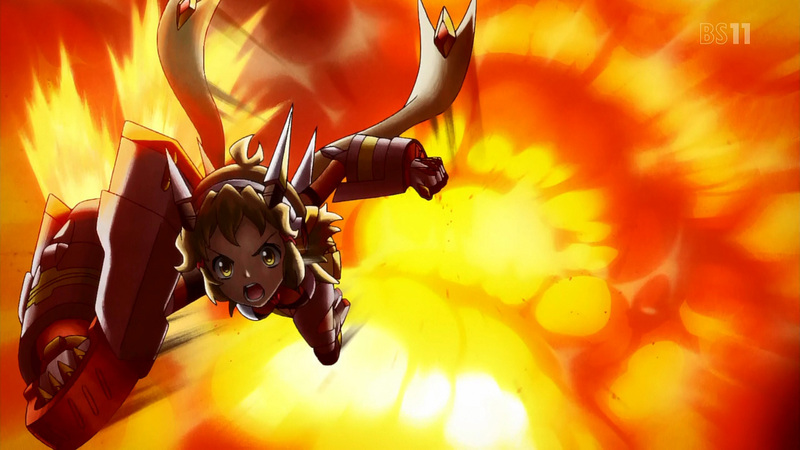 I think what most people expect from Symphogear is over-the-top action, and once again, we weren’t let down. Just like the previous seasons, the story is pretty much here only to provide ample opportunities for more song and dance fighting, but I think we’ve all come to accept that. The new group of enemies weren’t bad, but I miss the days when Finé and Carol were the the primary antagonists. Adam and Tiki were annoying, and the other new alchemists didn’t measure up to the enemies from past seasons (at least for me), and I was a bit disappointed in that regard. There’s so much fighting going on that the three possible yuri pairings (Hibiki x Miku, Shirabe x Kiri, and Tsubasa x Maria) end up spending most of their time preoccupied, but at least Hibiki and Miku share a few sweet (albeit brief) moments, so they haven’t been completely phased out. Coming off my favorite season of Symphogear yet, GX, I was hopeful that AXZ could change all that, but I just didn’t enjoy this season as much as the others. You could probably argue that the music and action are as good as ever, yet I think the series’ formula is starting to wear on me a bit. A fifth season is on the way, so like it or not, we can likely expect more of the same. This entry was posted in Anime, Final Thoughts and tagged Hina Logi, Netsuzou Trap, Princess Principal, Senki Zesshou Symphogear by Lena K.. Bookmark the permalink. definitely tops the summer season for me. the ones I watched were Isekai Shoukudou, Kakegurui, MiA, PriPri, Guru Guru, K&M and Centaur no Nayami (not including second seasons of existing shows that aired). I plan to binge AXZ and all of Luck & Logic at some point. Either way, good season imo. Woot! MiA was so good that I’ve thought about picking up the manga, but only if a follow-up never gets made. Knowing what’s gonna happen would ruin the element of surprise for me. Personally, I found MiA very much underwhelming but on the other hand, PriPri and Hina Logi were incredible. I also watched Sakura Quest which was pretty damn amazing and my show-of-the-season, though it didn’t have much yuri content (if you strained your yuri goggles there were 2 decent ships though). I’m surprised you didn’t mention Centaur’s Worries since that had equally as much yuri content as Hina Logi if not more! I found the yuri in it to be sweet but ultimately a bit too weird. How are you feeling about the upcoming season? Konohana Kitan will probably deserve a review but I’m not entirely sure how much overt yuri there will be. I mean, it’ll be hard to keep up with this season since it supplied 3 shows with yuri kisses – even if you could argue there wasn’t much weight behind Hina Logi’s, NTR as a show was flawed as hell and Centaur’s Worries had other problems too imo. And right now, I don’t think I’m as enthused about the fall season as I was about summer. I didn’t watch the first season of LL! Sunshine! !, so that’s a no-go for me, but Konohana Kitan, Umaru-chan R, Dies Irae, Kekkai Sensen & Beyond, Inuyashiki, and Kujira no Kora wa Sajou ni Utau are what I’m gonna pick up. Nothing really wows me from that list, but I might’ve said the same thing three months ago, so who knows? I suppose I’m a big fan of lots of things? Especially magical girls, so Hina Logi pushed my buttons. Especially the cross-cultural comedy, which was also a big thing in SQ. SQ was probably the most mature anime I’ve ever watched. Unlike most other anime that feels like it’s aimed at kids or a teen demographic, this definitely had a noticeable feel that was just unique. It was quite slow, but it had impeccable wit with top notch jokes, and as the show went on it just became even more touching as it showed the sheer breadth of the cast. The core message was beautiful, and the ending really let me reflect on the actually quite grand journey that Yoshino + co took throughout. MiA… hmmm. I was interested because it looked like it wanted to kill children with Lovecraftian monsters, but it took far too long to get interesting in that regard. In fact, everything between ep 3 and 10 was kinda redundant IMO. I let Madoka Magica off for something similar due to the incredible witch art and well, it only took ’til episode 3 before the “drop”. I didn’t like the leads and found them terribly, terribly dull – literally the only conversation they had throughout their journey once it began was about the monsters and plants; it wasn’t even particularly friendly or charming conversation either and devoid of banter for the most part. Maybe I just have high-standards for long-adventures since I’ve seen them done in many many video games? Admittedly, episode 10 happened and the following arc added some redemption, but it was still just a bit bland. I’m planning on picking up a *lot* of shows in this upcoming season, though I’m a little nervous for some. I’m surprised YuYuYu S2 (incoming feel-train), Two Car and Girls’ Last Tour aren’t on your list? I’m also interested by most of your choices, Just Because, Kino’s Journey and a few others too lol. I’ll almost certainly end up dropping a few though. Two Car kind of reminds me a little of Bakuon!! from last year (which wasn’t that bad, but wasn’t that good either). I think the only racing anime I’ve seen and liked was Redline. Girls’ Last Tour seems kind of interesting, though. There’s a decent chance I won’t finish all of the ones I’ve decided on for fall, so if I hear good things about that one, maybe it’ll replace one of the ones I drop. And it seems that Kino’s Journey is a remake, so that might be another possibility for a replacement. I figured it was a sequel, so not having watched the previous installments probably would’ve been a problem. Thanks for your previous recommendation on the 3 Yuuki movies! It was a bit slow for the first 1 and 1/2 but then it really took off! I went into that show blind, so I reached a point where I was saying to myself “Wait, back in the first show what did that injured girl in the bed mistakenly call Togo?”. Then it all clicked. Mind blown. No problem! I’ll always recommend YuYuYu lol. Lol, yep, I did the same dang thing. Well, now I’m gonna totally blame you for me liking it so much. This was a wonderful show, and given the second half was dark/tragic I can understand your being hesitant to suggest it. I hope this gets a second season. Princess Principal was the Winner for me. It could have easily fell flat on its face but the characters and writing are just so good. Also found out it was the same studio behind Flip Flappers and I love love that show. Am curious why you dropped New Game!!. It was pretty much more of the same of the first season. Loved the first season, though from what I saw on Tumblr (or rather from what I didn’t see on Tumblr) this new season can’t be that yuri, so I’m not that excited about it right now. I have a really good feeling about next season. I still have to finish Flip Flappers and HinaLogi so I have stuff to keep me busy. The only anime I really watch nowadays is Yuri stuff, so no other shows are getting in the way. 😁 I also have been saving Kase-san and Shortcake to read this weekend. Princess principal was anime of the season and the spiritual successor to noir and el cazador de la bruja. If we’re going by soundtracks, then from the ending song alone we can say pripri is the sequel to spice and wolf in a paralel universe! I must admit that after a couple of episodes, I did notice that Net Trap wasn’t going to deliver, it looked okay in animation and art style, but it did feel a little rushed. I guess I will be waiting for Citrus, but I am not expecting too much at the moment, best to keep expectations low at the moment, but it does look promising. I thought Symphogear had another great seasonal showing. It cracked me up that it had the ‘but wait! It’s not over yet’ moment like 3 times! As for short comings, yeah, I do have to agree, the new alchemists did pale a bit, they also seemed to retreat quite often. And we could have had much more couple time as you mention. Still, season five, based on that epilogue it sounds like we will get more Hibiki and Miku story.